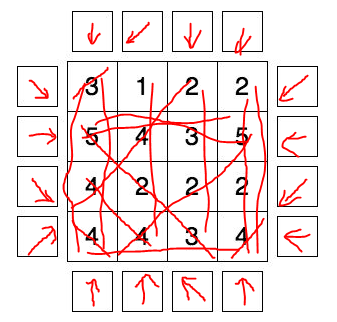 Draw arrows in all fields around the diagram in a way that every arrow is pointing at least one number inside. The numbers inside the boxes equal the number of arrows pointing at them. The arrows can point horizontally, vertically or diagonally. 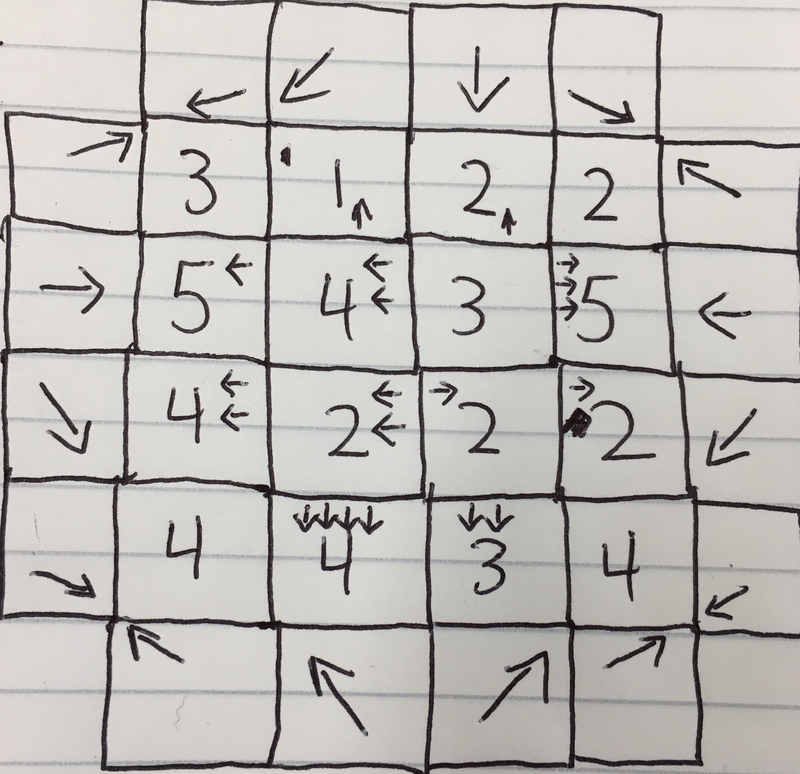 Here is an example showing how to solve this type of puzzle. This is from a job interview so I have no source. The second column has exactly one vertical arrow. It can't have two vertical arrows because of the 1 in it. If it has zero vertical arrows, then the 4 at (2,2) is forced, and then the 4 at (2,4) is forced. 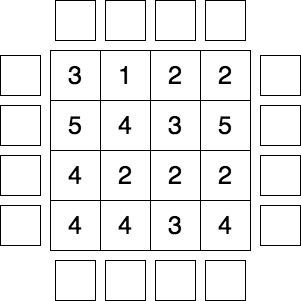 But then the 4 at (4,4) can't be achieved, because of it's six arrow squares, three have already been used: (4,0), (0,4) and (3,5). 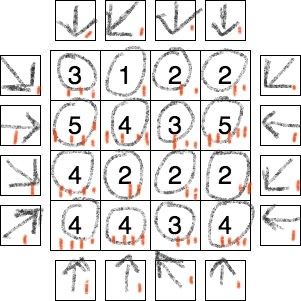 As the 1 in the second column is already covered, the arrows on row 1 must point diagonally downwards. Assuming at least one arrows each in an inverted A shape, based on the prevalence of 5s and 4s, in columns 1 and 4, and rows 2 and 4. After that, it was primarily guesswork, placing lines, then working backwards to determine what arrows would cause those lines. satisfies the condition of having the numbers in the boxes equaling the numbers of arrows pointing at them! That being said, the person who is giving you the interview may not like it.